Thank you for visiting our website. We hope you will continue to support the work we do. 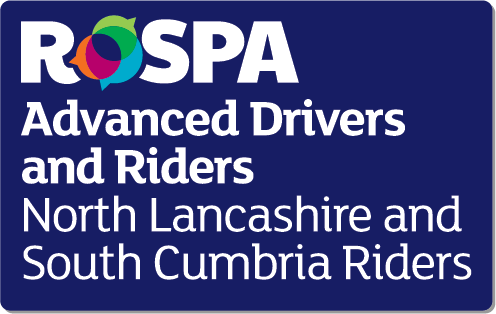 We aim to provide a totally free, but professional, voluntary service, out of normal working hours for the transportation of Urgent and Emergency items, e.g. 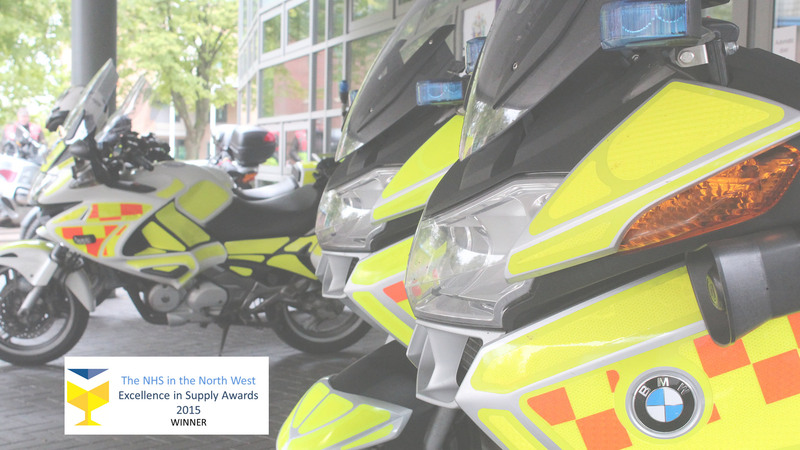 blood, platelets, samples, donor breast milk, patient notes, theatre equipment, in fact anything that can be carried by motorcycle, solely for the benefit of the publicly funded emergency services and the patients being treated by them, within the NHS Hospitals. 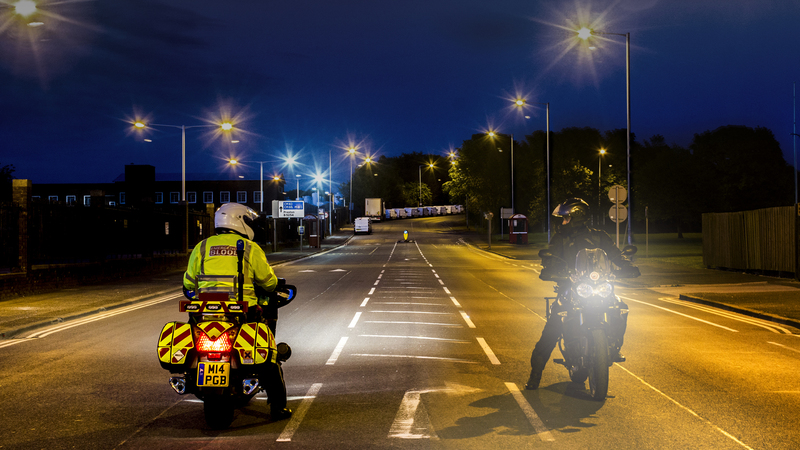 We will provide this service through the night, and 24 hours per day at weekends and Bank Holidays, to the best of our ability, enabling hospital funding to be better spent on patient care. We started operating in May 2012 and as the counter shows the number of call outs we are completing is growing exponentially. Your help in doing this is always appreciated. 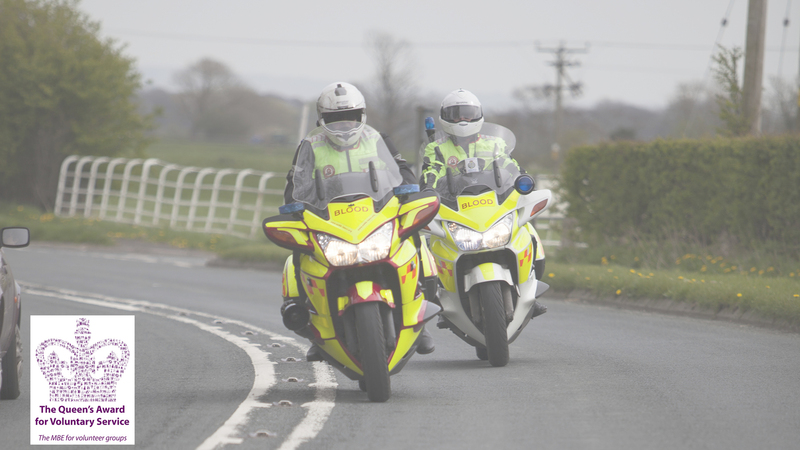 Scarisbrick & District Armada Motorcycle Club race Honda C90’s around the UK and abroad in order to raise money for charities, and this time they have given us £20,000 to purchase a brand new BMW R1200RT to add to our fleet of Blood Bikes. A fantastic gesture and thanks to them we can ensure we keep doing what we do, helping the NHS Patients. For the past 12 months the June Baker Singers have been fundraising for us. This week members Paul Cull and Dave Lakeland attended a presentation of cheques totalling a massive £1354. They also very kindly serenaded Paul as it was his birthday! Thank you so much! We have been featured in a short film for the National Lottery Awards. Want to help and join us? 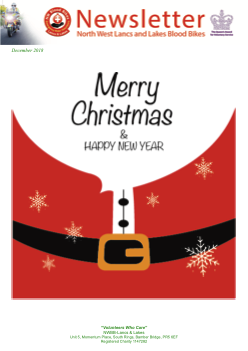 You can always read our Newsletters here to see what we are doing and who is supporting us. If you think you can help, come and join us. 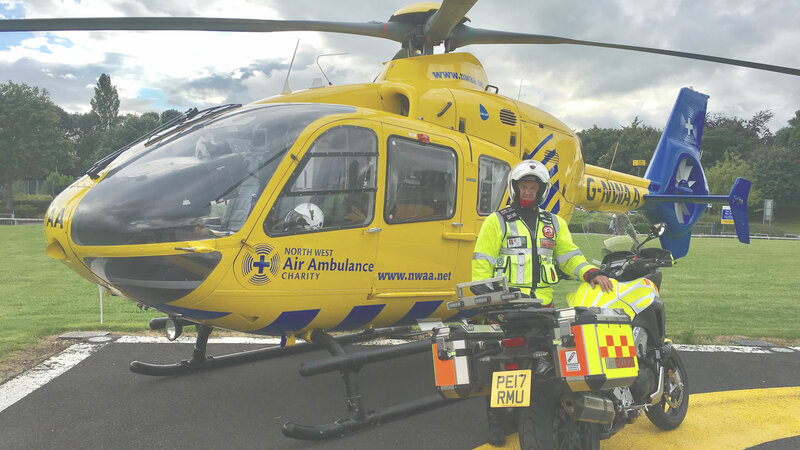 You don’t have to be able to ride a bike, although we constantly need riders, you can join us as a Controller, which basically means you stay at home and receive re-directed calls from any of our Hospitals. Then it’s a case of looking on the Duty sheets and sending a rider to do the run, or you can join us as a Fundraiser. 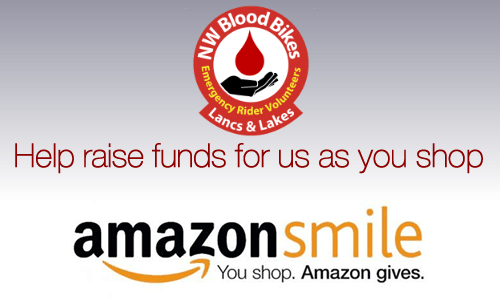 Whichever way you can help we will welcome you on board what we think is the best Blood Bike group in the Country. Just click the “Volunteer” button below." Please Donate Here. Angel On Two Wheels. 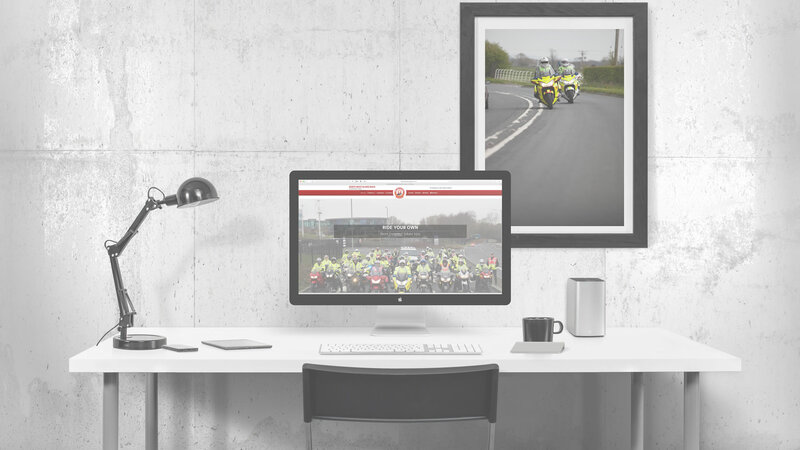 Our newsletters are published here for everyone to see what we get up to either on duty or when we’re off duty, please read and enjoy. If you have anything you think would fit in our newsletter please let the Editor know.